Don Bradman: masterful or masterly? Enter Mr Partridge. It's a bright blue morning in the lovely city of Sydney. This resuscitation was brought on by a call to arms by my dear friend and brilliant writer of science fiction, dark fantasy and horror—Terry Dowling. Always energized after one of our catchups I went home and, with renewed vigour, did battle at the keyboard. It was an enjoyable writing session inspired by fine Italian food and wonderful company. Thanks, Terry! Be well. The hilarious adventures of a young man about town. Marc Huffy Snow (aka The Huffster) has a knack for finding himself at the heart of all manner of madcap adventures. One moment, this near-impervious young Sydneysider is at a high school reunion claiming to be a mercenary gun-runner in Sierra Leone, the next he’s convinced the universe is sending him cryptic messages in the form of a lowly blowfish. When he’s not betting on a round of his beloved golf or competing for the love of a young woman at a game of sudoku, he’s joining his good friends Duncan and Enoch in some mad scheme or other, where what starts as innocent fun, inevitably becomes the stuff of nightmare. 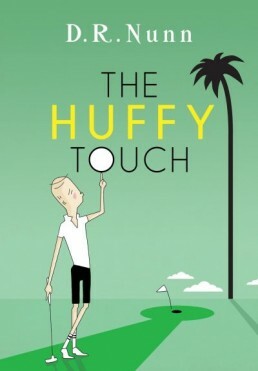 No matter what goes amiss, Huffy remains the almost calm centre of every storm. Laughter guaranteed! These thirteen ingenious tales are sure to have you laughing out loud on the bus or train, chuckling at breakfast, and grinning wildly at all hours.